You can see it in the little children’s wide-eyed faces. The ‘greatest show on earth’ has descended upon South Africa and things may never be the same again. There has been tumult, concern and excitement in equal measures since the day the decision to hold the first World Cup on the continent was made six long years ago – all of it heading towards this day in history. Television coverage allowed us highlights of the magnificent Opening Concert from the eve of kick-off day and in that abbreviated hour we understand the way things are going to be for the next four weeks or so – a joyous celebration of the world’s greatest game in circumstances never before seen. A pure unadulterated month-long carnival of singing, dancing, enjoyment and a festival of top-level sport. 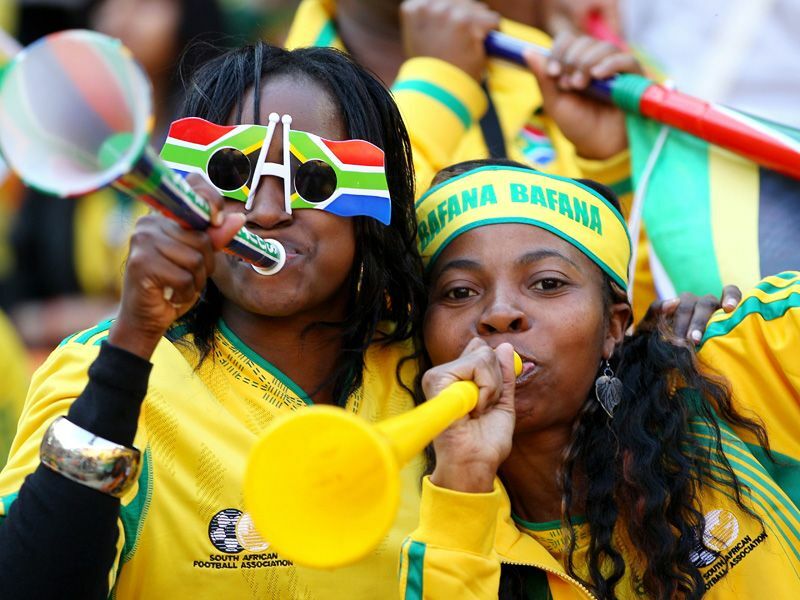 In Soweto we see supporters of Bfana Bfana ‘Our boys, Our boys’ awaiting the hour of destiny – South Africa’s opening game against Mexico. Some are interviewed happily for the TV cameras amidst their modest corrugated metal homes and their lifestyle relayed to us. How different this all seems from previous World Cups, the majesty and grandeur of Pavarotti and Italia ‘90, the heady and chaotic tickertape evenings of Argentina ‘78, or the humidity, razzamatazz and corporate-lead enterprise of USA ‘94. 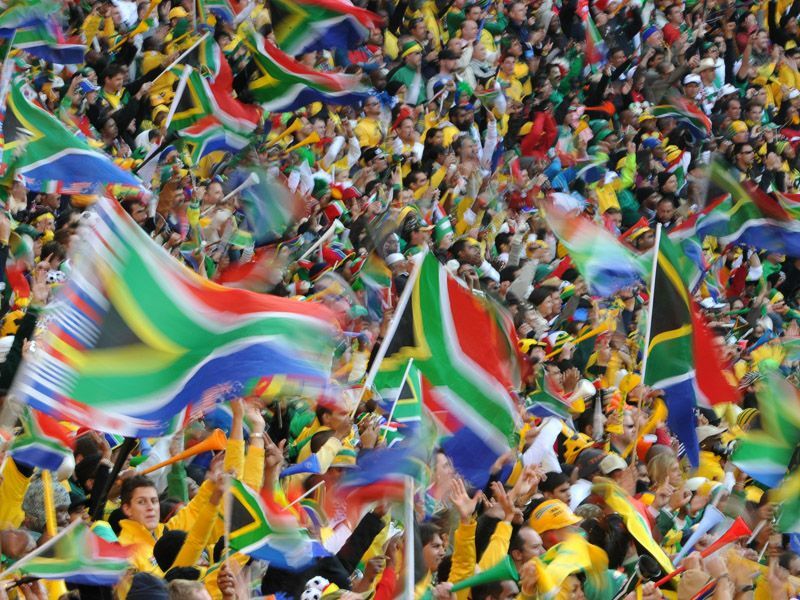 This is surely the true beauty of the World Cup though, and now ‘Africa has it’s time to shine’. The competition has a new continent as it’s home; forward. It has been a high-pressure week for the South African team. No other host team has ever lost the opening game in which the home team traditionally always feature, other pressures were almost self-inflicted. On Wednesday, before a football was kicked in anger, the players travelled through Johannesburg on an open-top bus cavalcade. Jacob Zuma visited the players and asked them if they would ‘win the trophy’ also. The pressure of this with the addition of a previous visit of the the great man himself, Nelson Mandela, and having to perform to order in front of 90,000 ecstatic and excitable supporters would have been too much to ask for most but somehow the host nation came through with credit. At the final whistle of the opening game with Mexico which ended 1-1, the South African players trooped off the field looking like they had suffered bitter defeat. After an opening blitz by Mexico which could have easily seen South Africa behind by two or three goals before they had gained their second wind, Bfana Bfana fought back manfully with big hearts and with pride. Their sometimes naivety became largely overshadowed by some excellent passing movements, one of which ended with a magnificent and breathtaking left-foot rocket into the top corner of the net by Tshabalal. The game ebbed and flowed and sadly the party-spoiling equaliser duly arrived courtesy of Barcelona’s Marquez eleven minutes before the end. The drama had not ended however as we were to witness when South Africa striker, Katlego Mphela came agonisingly close to a winning goal with an attempt that hit the post in the last minute of the game. The disappointment that the Bfana Bfana and the huge crowd felt was tangible but they should hold their heads up high. In the ninety minutes they showed that they would not be cowed by a nation with a longer-standing World Cup history and solid reputation. As the game progressed they settled and became more relaxed – more attuned to the job in hand – and it showed. This battling draw gave no reason for dejection and it is clear that their artful Brazilian coach, Carlos Alberto Parreira, will be instilling this into their hearts and minds as they approach the challenges of Uruguay and France respectively. This is not the end, only the beginning.